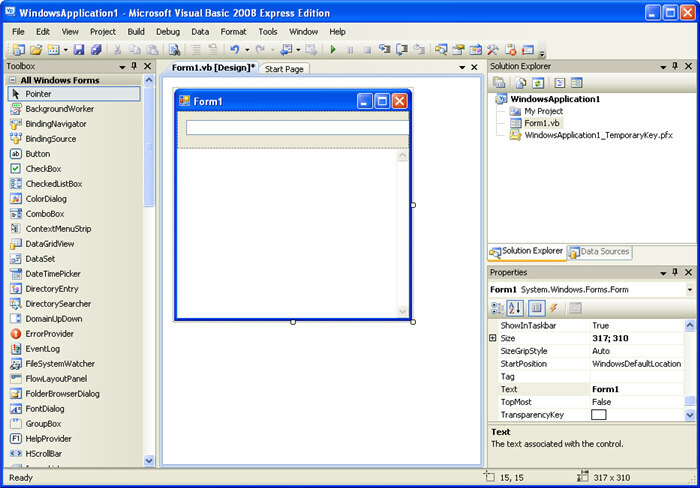 Visual Basic 2005 Express Edition Beta 2 is a streamlined, easy-to-use development tool for hobbyists, students, and novices. The Express Edition makes Windows programming with Visual Basic fun and easy to learn. It also the perfect way for experienced Visual Basic 6.0 developers to try out new features.